It is no secret that I am a huge fan of Marni Mann, sometimes when you read an author for the first time, you just click. You click with their style, their sense of humour and the way they effortlessly string a sentence together with such emotion that you cannot help but be touched. Marni Mann has that effect on me and since the first time I read one of her books, about five years ago, I have been hooked ever since and read everything she has written. Endorsed is the second book following the owners of The Agency, a management agency that covers the needs of actors, musicians and sports stars. This is the niche area that I work in, so having a book that I can relate to, only makes the subject matter that much more enjoyable. Although these are all under the same umbrella, Endorsed can be read as a standalone but I highly recommend that you read, Signed too, as that book was just as good as this one. Samantha Cole has been career driven, focusing all her time and attention on making a name for herself without piggybacking on her brother’s name. She has had other responsibilities that leave no time for men. Her lack of male companionship though is not just because of her responsibilities, one night with her brother’s agent saw to that. Now eight years later, their paths cross once again, their chemistry is still ever present, but will the one night they had, be the only one? With an acrimonious ending to their one night, secrets kept, and choices made for the perceived greater good, do these two really stand a chance once again? While I did find this story a little predictable, in no way did this detract from my thorough enjoyment of how they got there in the end. 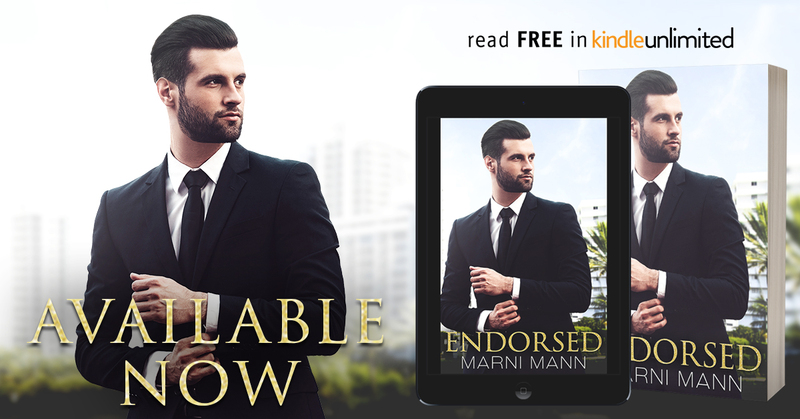 Marni Mann is one of the queens of heat and this book will definitely have you fanning yourself and your ovaries combusting with just how awesome this couple are. It was great to catch up with the other members of The Agency and I cannot wait for the next book in this series. There is never a dull moment, that is for sure.